The world's coolest mascara! A testament to the French girl’s low-key beauty regime, this all-in-one mascara echoes Colette’s visual colour palette and forward-thinking design. The hand-finished curved bristle brush creates extra-strong definition, volume and curl from root to lash tip. Thickening each and every lash with our fibre-enhanced treatment formula for clump-free, full lash coverage that lasts all day. 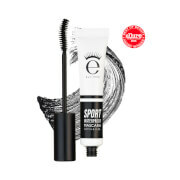 The carbon-black finish is combined with botanical treatments including Arginine and Biotinoyl Tripepetide to improve lash health and encourage growth. Presented in a mirrored gift box. Aqua (Water), Acrylates/ Ethylhexyl Acrylate Copolymer, Cera Alba (Beeswax), Butryospermum Parkii (Shea) Butter, Copernicia Cerifera Cera (Carnauba) Wax, Ozokerite, Stearic Acid, 1,2-Hexanediol, Polyglyceryl-3 Methylglucose Distearate, Magnesium Aluminum Silicate, Polyvinyl Alcohol, Triethanolamine, Isobutylene/Sodium Maleate Copolymer, Silica, Microcrystalline Wax, Phenoxyethanol, Phenyl Trimethicone, Simethicone, Nylon-6, Dipropylene Glycol, PEG-40 Hydrogenated Castor Oil, Chlorphenesin, Dimethicone, Hydroxyethylcellulose, Disodium EDTA, Laureth-21, Alcohol, Magnolia Officinalis Bark Extract, Pentaerythrityl Tetra-Di-t-Butyl Hydroxyhydrocinnamate, Allium Sativum (Garlic) Bulb Extract, Camellia Sinensis Leaf Extract, Houttuynia Cordata Extract, Perilla Frutescens Leaf Extract, Perilla Ocymoides Seed Extract, Polygonum Multiflorum Root Extract, Arginine, Caffeine, Sodium Dehydroacetate, Angelica Gigas Root Extract, Apigenin, Astragalus Membranaceus Root Extract, Atractyloides Japonica Rhizome Extract, Biotin, Biotinoyl Tripeptide-1, Butylene Glycol, Cinnamomum Zeylanicum Bark Extract, Cnidium Officinale Root Extract, Ethylhexylglycerin, Glycyrrhiza Glabra (Licorice) Root Extract, Oleanolic Acid, Paeonia Albiflora Root Extract, Panax Ginseng Root Extract, Poria Cocos Extract, PPG-26-Buteth-26, Rehmannia Chinensis Root Extract, Iron Oxides (CI 77499, D&C Black No. 2 (CI 77266). Since I began using this mascara people - strangers- often ask me if my lashes are really my own. I have this mascara to thank for making my lashes look to long and full for everyday but also great to build for more dramatic looks. 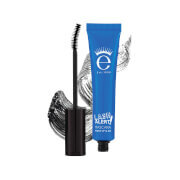 What I like best is how long wearing it is and it NEVER dries out on my lashes and never starts flaking off like most mascaras will in my experience . I had high hopes for this mascara and it did not disappoint. Right from opening the box I knew it was going to be a winner! 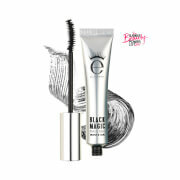 Makes my lashes look long, full and flirty! Donâ€™t think Iâ€™ve ever had so many compliments at the office!!! A must have!